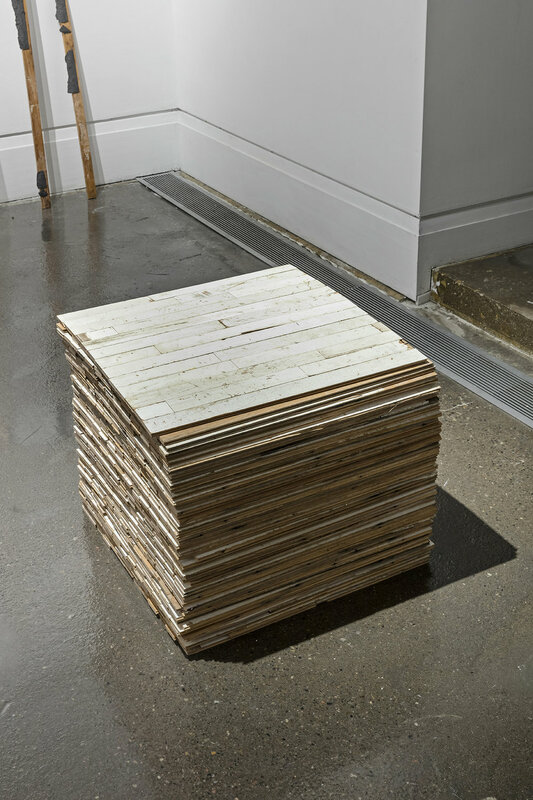 Mississauga -based emerging artist Olga Klosowski Schellenberg creates spare, enigmatic sculptures using cast-off materials from renovation sites. In a city that is has experienced and continues to undergo rapid development, demolition and construction have become part of daily life. Objects that were once overlooked as a mere backdrop to the activities of our lives – ceiling tiles, floorboards, bedframes – are now given new signi cance as art objects that serve to memorialize the past as it is embodied in our homes. Open Concept, XIT-RM, Art Gallery of Mississauga. Photo by Toni Hafkenscheid.